When love happens, so many things which many people consider abnormal becomes the norm. When Ida Darvish, a popular American actress, writer, director, and movie producer fell in love with her heartthrob – Josh Gad, whom she is six years older than, it seemed like a joke, however, love prevailed and has continued to keep them together, a decade after they took their marital vows. The talented and versatile actress who also writes scripts, directs and produces movies is famed for her role in Inferno has been enjoying a successful career alongside her husband who is also a popular face in Hollywood. Here is the bio, and other surrounding backgrounds of the mother of two kids. Ida Darvish was born on the 14th day of October 1975 in the United States of America. Due to her discreet lifestyle, some of her personal information like place of birth, family background, childhood, and her educational pursuits is not public knowledge yet. However, the talented actress made her debut screen appearance in 2001 in a video titled The Holly Cannoli, she went on to stare other movies like The Astronaut Farmer (2006) where she played the role of Italian Anchorwoman, Assasin Creed (2007), Gigi: Almost American (2007) before her big break role came in a 2008 TV Series entitled Californication. With her career breakthrough role in 2008, she landed subsequent roles in other videos which include The Lost Nomads: Get Lost! where she played the role of Andrea Wachovia. Her other films include She Wants Me (2012) where she portrayed the character of Helen, The Comedians (2015), Inferno (2016) as Marta Alvarez. It is on record that she wrote and produced the episode fifteen of the Gigi: Almost American. Her years in the entertainment industry have earned her fame and wealth and other recognitions. Even though she may not have featured in the same number of films as her other counterparts in the industry, she sure has made some cool cash from her movie and TV appearances. Her net worth is speculated to be running in millions of dollars. Ida Darvish made headlines when she decided to tie the knot with her younger heartthrob. She had met the handsome Josh Gad and they dated briefly before they opted to take their affairs to the next level. 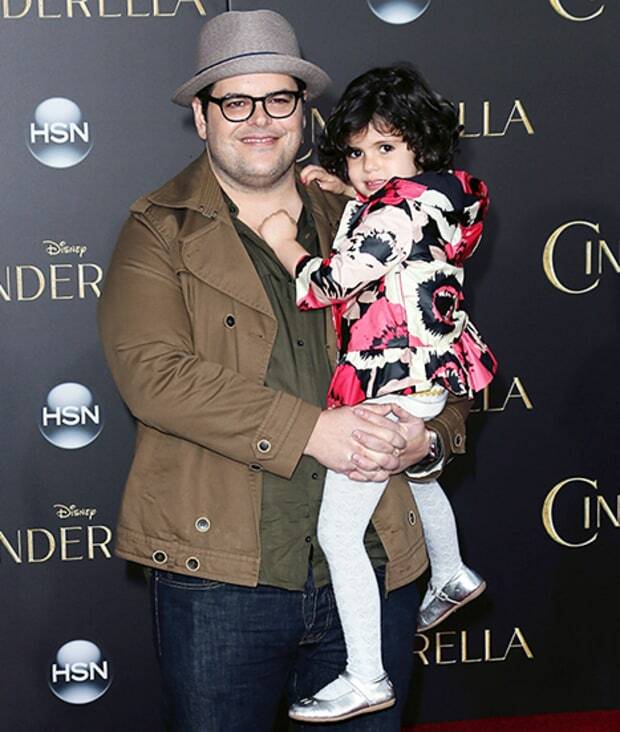 On the 10th day of May 2008, they walked down the aisle which raised a lot of eyebrows owing to their age difference – she was six years older than Josh Gad. True love they say heals every wound and what bound them together was proven to be greater than what wanted to separate them. They shunned every rumor and remained faithful to each other. Josh Gad is an iconic American actor, dubbed as a triple threat because he is a voice actor, a comedian, and a singer who was born on February 23, 1981, in Hollywood, Florida, to real estate agent mother, Susan and a Jewish immigrant father from Afghanistan, Sam Gad. He attended University of Nova Southeastern University where he graduated from in 1999. He went on to obtain a bachelor’s degree in Fine Arts and Drama from Carnegie Mellon College of Fine Arts. Josh has starred in over 30 films and television series coupled with four voice roles he had played in the video games. All these have reflected largely on his net worth which currently estimated to be $12 million. They happily welcomed their first bundle of joy – a daughter born on August 3, 2011, and named Ava Tanya Gad. Their second daughter named Isabella Eve Gad was born precisely on February 17, 2014. Ida Darvish shares a strong bond with her family and often seen in places with her lovely kids and husband. Her social media account and that of her husband both have their family pictures often uploaded therein. Ida Darvish is an amazing woman with very beautiful body features. From the information gathered about the actress, she stands at the height of 5 feet 5 inches and weighs between 60 to 65 kg. She has black hair and black eyes.